Torrent Witches Cozy Mysteries, Audiobook Box Set 1: Books 1-3 now available! 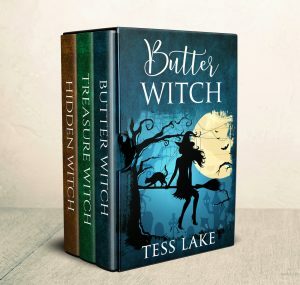 This Audiobook boxset collection includes the first three full-length magical cozy witch mysteries of Tess Lake's fun new series. How long until the next Torrent Witch audiobook? You were releasing them at about one per month but none this month. Also the audiobook part of your site is our of date.